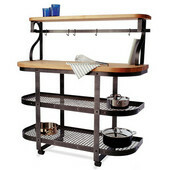 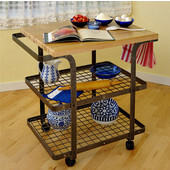 These Enclume Bakers Carts, Kitchen Carts & Islands provide a beautiful, efficient alternative to built-in fixtures. 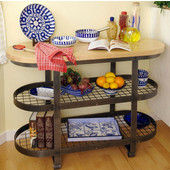 All bases are made with our signature hammered steel finish. 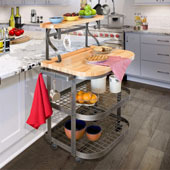 Work surfaces are 36" off the floor, the optimum working height. 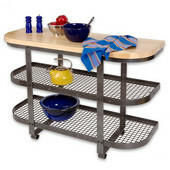 Gridwork shelving provides rugged storage that lets you see items easily. 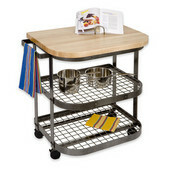 Find exclusive offers and free shipping on orders over $99 on Enclume Bakers Carts, Kitchen Carts & islands when you shop at KitchenSource.com.